Teen smoking statistics are on the rise. 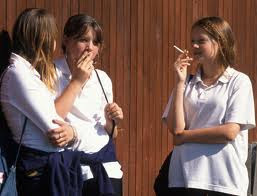 It is very important that children are informed of the teen smoking statistics and the harmful effects of smoking.Having involved parents — those who know a lot about their children’s friends, activities and performance in school — can help children overcome peer influence to start teen smoking, according to a study by a researcher at the National Institute of Child Health and Human Development (NICHD). The study also confirmed earlier findings that the more widespread children think smoking is, the more likely they are to start. Moreover, children who are socially competent — who have the ability to exercise self-control and good judgment — and have parents who monitor their behavior tend not to start smoking. The study, which was published in the December 2002 issue of Prevention Science, surveyed students in four middle schools in a suburban Maryland school district. 2. Knowing your Children’s Friends: This is critical, in my opinion. Who are your kids hanging out with? Doing their homework with? If they are spending a lot of time at a friends house, go out of your way to call the parent introduce yourself. Especially if they are spending the night at a friends house, it important to take time to call the parents or meet them. This can give you a feeling of security knowing where your child is and who they are with. Did you know 1 in 5 children will abuse inhalants by the 8th grade? Inhalant abuse refers to the deliberate inhalation or sniffing of fumes, vapors or gases from common household products for the purpose of "getting high". 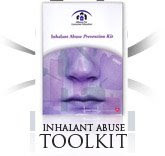 Learn More About Inhalant Abuse Today! www.inhalant.org - You may save a life. Safe Eyes™ 5.0, the latest edition of Internet parental control software from InternetSafety.com, has earned a 2008 Parents’ Choice Approved award from the Parents’ Choice Foundation. The award is the latest in a series of honors for the parental monitoring software, including two consecutive Editors’ Choice awards from PC Magazine. “If you think your family’s safety requires Internet filtering and monitoring, whatever level, this program provides an array of options to get it done,” said the Parents’ Choice Foundation in its recognition of the Safe Eyes product. The 30-year-old foundation is the nation’s oldest non-profit program created to recognize quality children’s media, including books, toys, music and storytelling, software, videogames, television and websites. Nineteen-year-old Will Kelly is pounding the pavement, knocking on doors and talking to voters. Seventeen-year-old Amelia Hartley is answering phones, making copies and filing news clips. She is a die-hard Democrat, and he is a faithful Republican. Both teenagers have a passion for politics and for getting involved. By Sarah Maria http://www.breakfreebeauty.com/ Sara Maria is offering her E-Book, which is normally $27.00 for free to all readers!Click here for more information. In reality no amount of dieting, exercise and discipline can earn you a magazine cover-ready body because those photos have been Photo Shopped, doctored and airbrushed. Don't waste your time attempting to be what you are not, instead; focus on cultivating who you are! Sue Scheff: Protect your Children in Cyberspace! This Press Release is posted with the permission of InternetSafety.com - Visit Internet Safetyfor more vital information to protect your children online. ATLANTA, GA — May 28, 2008 — June is Internet Safety month. With hundred of millions of teens, pre-teens—and adults—around the world using social networking sites, there’s no better time for parents to be aware of the fun, the benefits, the powerful attractions, and the potential risks that MySpace, Facebook and other similar sites offer their children. In a society where waifs rule and magazines herald a different fad diet every week, some kids view eating disorders as a small price to pay for fitting in. They’re wrong. Anorexia kills more than 10% of its victims, and bulimia 1%. Eating disorders also lead to depression and place enormous stress on families. Concerned that your child may be at risk? Here’s what you need to know. “People with anorexia starve themselves to dangerously thin levels, at least 15% below their appropriate weight,” says Edward J. Cumella, Ph.D, CEDS, Executive Director of Remuda Programs for Eating Disorders in Wickenburg, Arizona. “People with bulimia binge uncontrollably on large amounts of food – sometimes thousands of calories at a time – and then purge the calories out of their bodies through vomiting, starving, excessive exercise, laxatives, or other methods. They are of normal weight or overweight.” Some anorexics also purge, but they are still underweight. Many people have seen the recent news stories on the 17 girls in MA that made a pact to get pregnant and succeeded. The Boston Globe article details this distressing situation. The National Campaign seeks to improve the well-being of children, youth, families, and the nation by preventing unplanned and teen pregnancy. Take a moment to visit this website of educational resources. *********************************** For parents, a teenage daughter becoming pregnant is a nightmare situation. Every year, approx. 750,000 teenage girls become pregnant in the United States. That is roughly 1/3 of the age group’s population, a startling fact! Worse, more than 2/3 of teens who become mothers will not graduate from high school. If you are a parent who has recently discovered that your teenage daughter is pregnant or may be pregnant, we understand your fear and pain. This is a difficult and serious time in both yours and your daughters’ life. Everyone remembers the school bully in their lives. Maybe they stole your bike, or bloodied your nose, or spread a nasty rumor that had you hiding out in the bathroom. Whatever they did, they made life miserable. But as bad as they were, you could identify them, predict their behavior and try to steer clear. Unfortunately for your kids, that may no longer be the case. That’s because bullies can still be on the school grounds, but they can also be in cyberspace, lurking where no one can see them. A gateway drug is a drug that opens the metaphorical gateway to more potent, dangerous drugs. Substances like alcohol, cigarettes and marijuana are considered gateway drugs. While many parents are tempted to say "it's only beer" or "its just pot", the danger in gateway drugs is their ability to convince the user that they can handle larger quantities or in many cases, stronger, more potent substances. My name is Sue Scheff™, and I am the founder of Parents Universal Resource Experts (PURE)™, an organization dedicated to helping parents help their troubled teens. As a parent, I know all too well the difficulties of raising a child in these chaotic times. Parents can easily feel alone and overwhelmed when their child is in trouble, but P.U.R.E. is here to help you. We can provide you with information on the most trusted and effective treatment and counseling resources available. By ADDitude Magazine Eight simple parenting rules for motivating a vulnerable child with attention deficit disorder (ADD ADHD). What’s the key to reaching one’s goals and making a happy, productive life? Motivation. But it’s hard to feel motivated when much of what you try goes awry. Just ask (or observe) a child with attention deficit disorder (ADD ADHD); distractibility and memory deficits can lead to frequent mistakes at home and at school — and what feels like constant discipline and criticism from parents and teachers. Some kids buy into the idea that they aren’t capable of much, and give up when faced with even small challenges. Others become so fearful of not doing things right that they don’t even try. Either way, these kids suffer a severe blow to their self-esteem. users prolong the “high” by continuing to inhale repeatedly. lethargy, depressed reflexes, stupor, and loss of consciousness. It is Father's Day today - many teens may take this special day to spend time with their dad, and sadly some don't have a father, however have a special person (mother, grandparent, uncle, mentor) that is like a father to them. Take time today to spend with your special person - some that may not be perfect, but loves you unconditionally. Ok, we know it may seem like an oxymoron: parents and teens having fun together? It has been known to happen. Whether its family activities, time just for you and your teen, special events and trips or just the every day activities around the house, find ways to create fun and connections with teens. Read the same book and then talk about it. Take a class together. Try dog obedience or cooking classes. Go out for lunch to celebrate the beginning of the school year. Celebrate half birthdays with a special family meal. Share a subscription to a favorite teen magazine and talk about one article. Sue Scheff: Dealing with your 18 Year Old "Child"
At this time of year, it seems we are contacted by more and more parents that have an 18 year old or a 17 year old that is almost 18. If you have been struggling with your younger teen and like many of us, keep hoping and praying it will change, take a moment to think about if it doesn't. Don't miss opportunities to give your child a second chance for a bright future. Whether it is local therapy, summer motivational program or a Boarding School, as parents we do what is best for our kids. "My 18 year old is out of control and I am at my wit's end! What can I do?" Anonymous Parent. As a resident of Florida, I am very aware of the damage the sun can cause people and especially teens that feel they are invinceable to skin cancer or any sun damage. Here is a great article by Connect with Kids and a Tips Sheet for parents. Like many people, teens love the water and worship the sun. “Most teenagers don’t really worry about sunburn, they’re just really concerned about how their tan looks,” 13-year-old Kelsey says. Still, many young people admit they know the dangers. Since my Blogs went out yesterday about Teen Eating Disorders, I was literally flooded with emails from parents, authors, programs etc.... thanking me for bringing this subject to the forefront. 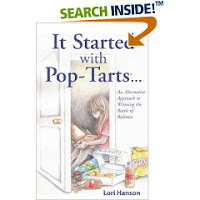 Lori Hanson was one of these people and wrote a very powerful story of her own experiences - starting at age 14 with Pop-Tarts! If you have a teen or know someone struggling with eating disorders, check out her experiences at http://www.lori-hanson.com/. If you believe e-mail, blogs, and instant messaging are a completely harmless way for teens to communicate, think again! 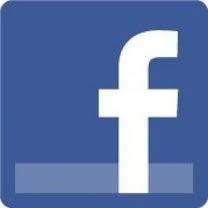 Many teens have Internet access--often private communication in the form of blogs, chat rooms, and forums. These online communication aids are not themselves a problem. But the ever-present threat of being sexually solicited or bullied while on the Internet is a big problem. Sue Scheff: Top Ten Blogger Personas: The Mobosphere Unveiled by John Dozier, Esq. This has been one of my favorite Blogs and Articles describing a variety of personalities of people that simply have nothing better to do than harm others with their evil keystrokes. Top Ten Blogger Personas: The Mobosphere Unveiled by John Dozier, Esq. Sue Scheff: : “A Parent’s Guide to the Teen Brain”. This new site is designed to help parents decode teen behavior and connect with their kids. WHAT: The Partnership for a Drug Free America will debut their newest online parenting tool: “A Parent’s Guide to the Teen Brain.” The site launch also coincides with the release of the 20th annual Partnership Attitude Tracking Study (PATS), a survey of parents’ attitudes about drugs and alcohol. Monitoring teens is an art form. Too much and teens will rebel or not learn the skills they need to function on their own. And too little monitoring can result in behaviors that spell trouble. What to do? Here are some strategies to consider for keeping track of teens. Know where our teens are - especially on evening and weekends. Let teens know that using alcohol, cigarettes or drugs is illegal and unacceptable, and that it would upset you - very much. Monitor television programs teens watch. Set rules about the music teens listen to. Know how teens are doing in school. Don't blow off parent-teacher meetings. Monitor Internet use. This is a big one. Keep computers in "public" rooms of the house. Try to eat together on a regular basis (without the TV, please). Curfews are good. Enforce them. And know the curfew laws in your community. Check in when teens come home from school. Sue Scheff: Is Parent Coaching Right for your Family? Dr. Paul Jenkinsis a Family Coach that has successfully helped many families through his practice as a Psychologist, as a Radio Host and as a Family Coach. Many parents are using coaching as an option prior making a decision to place their child in a residential therapy program. Learn more at http://www.creationtreecoaching.com/ or a quick Internet Search can help you find others. Summer is almost here and what a better time to catch up on relaxation and reading! Take your kids to your local library or a bookstore and find some educational and fun books to read. Health Communications Inc. http://www.hcibooks.com/ offers a wide variety of wonderful books for both parents and kids today.